Situated near the beach, this romantic hotel is within a 10-minute walk of Nichols Park and Ballard's Beach. Block Island Historical Society Museum and Crescent Beach are also within 1 mi (2 km). 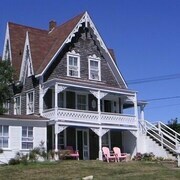 Situated in Block Island, this inn is within a 5-minute walk of Nichols Park and Ballard's Beach. Block Island Historical Society Museum and Crescent Beach are also within 1 mi (2 km). Situated near the beach, this hotel is within 1 mi (2 km) of Ballard's Beach and Crescent Beach. Great Salt Pond and Mohegan Bluffs are also within 2 mi (3 km). Situated near the beach, this bed & breakfast is within a 10-minute walk of Nichols Park and Ballard's Beach. Block Island Historical Society Museum and Crescent Beach are also within 1 mi (2 km). 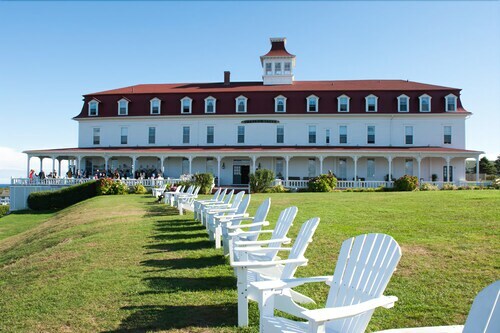 How Much is a Hotel Room in Block Island? 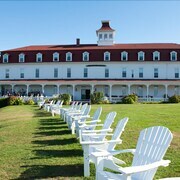 Hotels in Block Island start at $125 per night. Prices and availability subject to change. Additional terms may apply. With 11 places to put your feet up in and around Block Island, people traveling here are spoilt for choice. 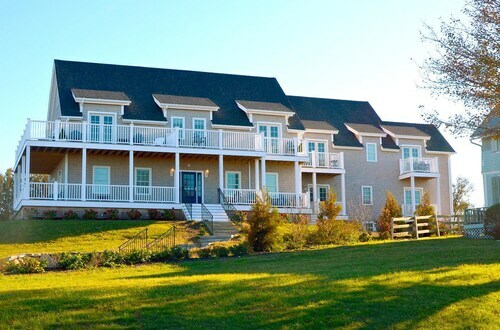 Travelocity presently boasts 11 accommodation options within 6-mile (10-kilometer) of Block Island. 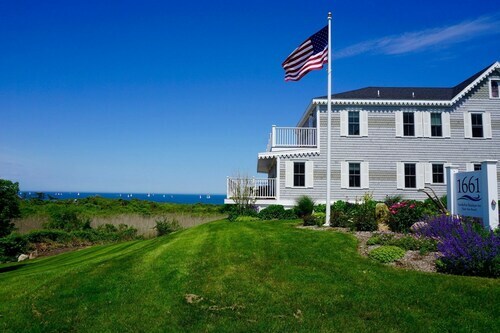 Travelers will find The Island Home Inn and Block Island Accommodations within a short walk of Block Island's downtown area. 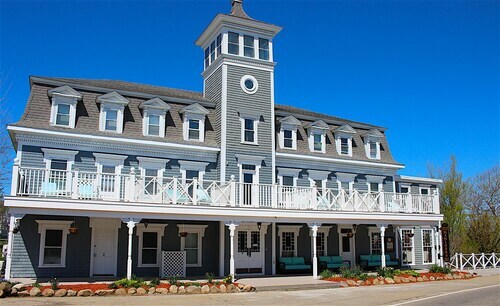 The Hampton Inn South Kingstown - Newport Area is situated 19 miles (31 kilometers) from the town center of Block Island. On the other hand, the Lighthouse Inn of Galilee can be found approximately 14 miles (22 kilometers) away. Some other possible accommodation options include the Atlantic House and the La Quinta Inn & Suites Stonington - Mystic Area. Providence is 45 miles (72 kilometers) north of Block Island and features Roger Williams Park Zoo and Rhode Island State Capitol Building. A few Providence accommodations include the Providence Marriott Downtown and Renaissance Providence Downtown Hotel. 45 miles (69 kilometers) north of Block Island, you can find South Providence, which boasts the Hilton Providence and Omni Providence Hotel. If you're staying in South Providence, make sure you venture to the Museum of Natural History and Planetarium and Culinary Arts Museum. Before saying your farewells to Rhode Island, you sure ensure you watch a thrilling match. Swing by Mohegan Sun Arena, to the northwest of Block Island. Wise visitors wanting to book Travelocity-listed accommodation nearby should look at the The Spa at Norwich Inn or the Holiday Inn Norwich. For the modern traveler flying through T.F. Green Airport, you might find it convenient to book Travelocity-listed rooms at Courtyard Marriott Providence Warwick, or NYLO Providence/Warwick, which are both a short taxi ride away.